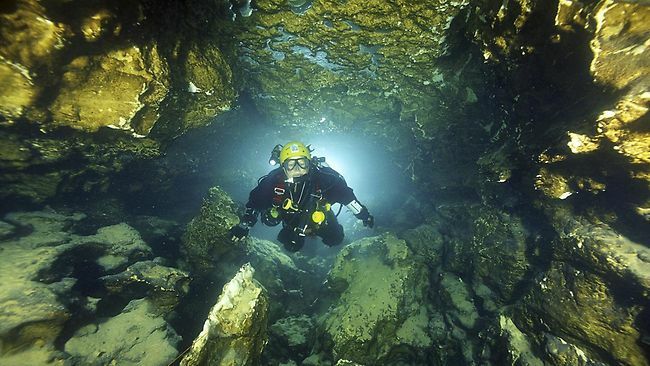 World renowned cave diver Agnes Milowka ran out of air and suffocated after becoming disorientated, says a fellow diver who has seen her body. r Richard Harris, a close friend of 29-year-old Ms Milowka, is part of the retrieval team which has been trying to clear the way for police divers to pull her body from Tank Cave, near Mount Gambier. "She can't turn very quickly, she can't see anything and she has been unable to work out the way to get out of the cave and she has run out of air," he said. Divers recorded a video of the path to Ms Milowka on Monday, which convinced experts that it was possible to retrieve the body. The Polish-born woman had recently worked as a stunt diver for James Cameron's new blockbuster Sanctum 3D, which is now showing across Australia.